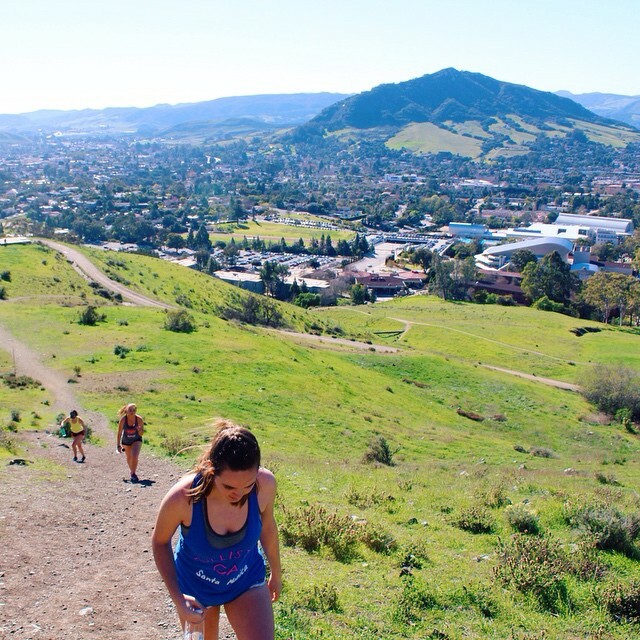 The Trip-Tip Challenge is a favorite way to spend the day on the Central Coast for residents and Cal Poly students. For visitors, this can be one of the best ways to experience San Luis Obispo from an entirely new perspective: at the top of the three main hiking trail peaks. An active alternative to a day at the beach, this is a great way to get outdoors and then reward yourself afterwards with a delicious Firestone tri-tip sandwich. 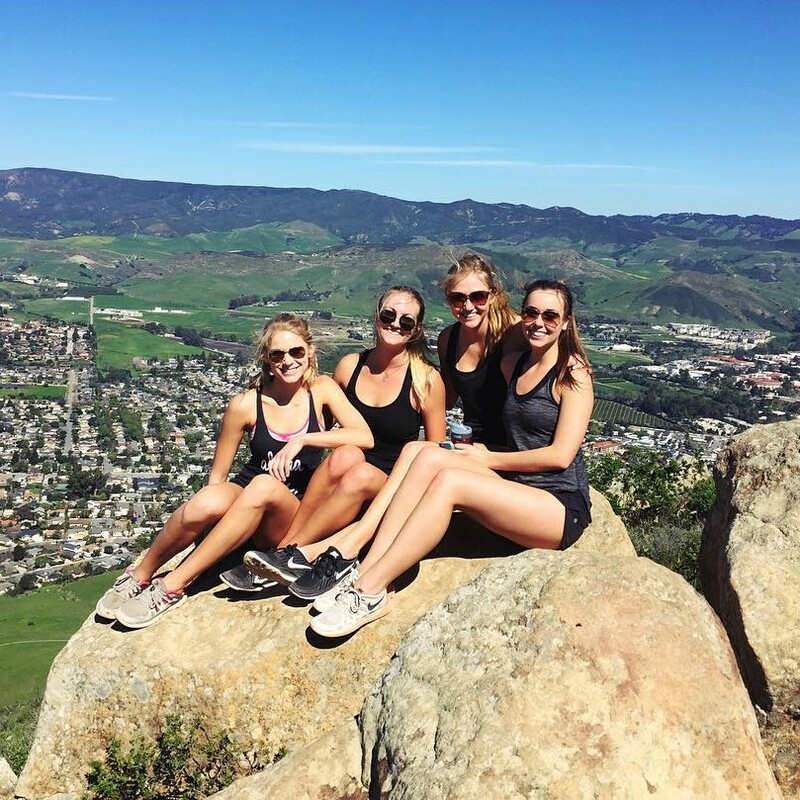 The challenge consists of hiking San Luis Obispo’s most popular trails, which takes you to high elevations and spectacular views. In any order, participants trek the Madonna Mountain, Bishop Peak, and the Cal Poly “P” in only one day to view San Luis from a truly adventurous vantage point. The hikes vary in difficulty, with the hike to the “P” being the easiest and Bishop Peak generally considered the most difficult. Many Tri-Tip Challenge veterans recommend starting with the hardest, Bishop Peak, so you have the most energy. 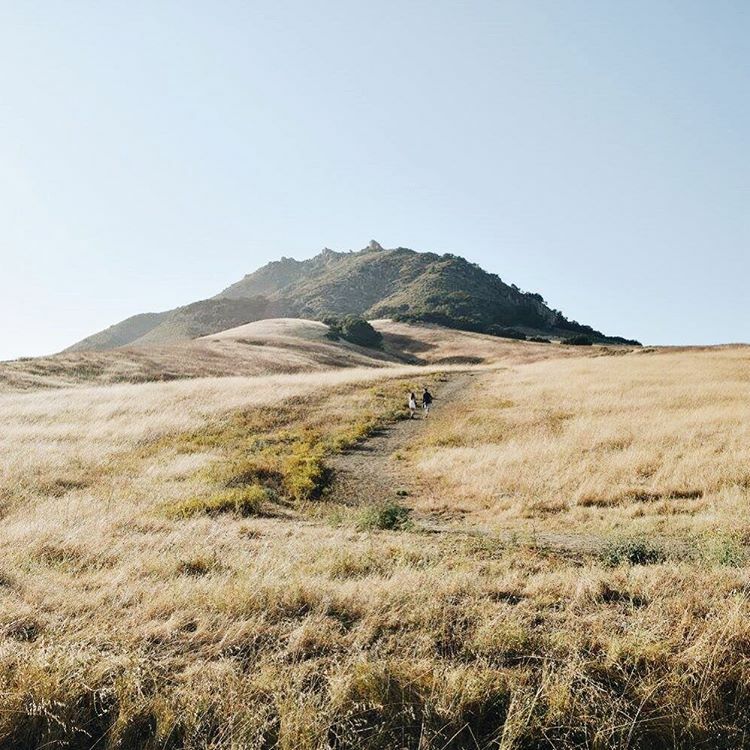 Bishop Peak, the most popular trail of the three, takes you straight up the mountain with 950 feet of elevation gain. The most difficult hike, the journey will take you up to new heights in 4.4 miles. Don’t forget your camera phone for this one because the views here are breathtaking. Madonna Mountain, officially named Cerro San Luis, has a main trail that leads you on a four mile hike. Although still a seemingly long distance, this hike is less steep and more leisurely than Bishop Peak. This piece of land also tells a fascinating story of Central Coast history, which you can view from this amazing vantage point. Next, the Cal Poly “P” is a favorite among university newcomers and is only a short 20 minute journey. The Cal Poly “P” is adorned throughout the year to celebrate various university events and holidays, so watch out for some bright colors or special decorations. The best part of the Tri-Tip Challenge comes at the end of your three peak hike when you get to visit a Central Coast favorite, Firestone Grill. 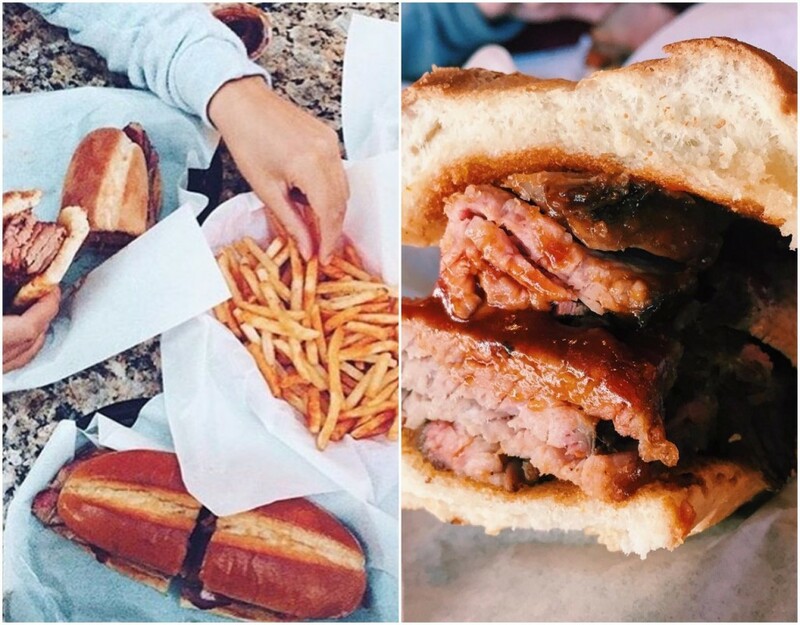 On any night of the week, Firestone will be packed with residents and visitors alike enjoying their famed tri-tip sandwiches and perfectly seasoned fries. After the challenge, participants love to treat themselves to this delicious barbecue and relax after their long day of hiking. Although the tri-tip sandwich is the classic choice after the challenge, Firestone lovers also enjoy their steak Cobb salad, onion rings, and pulled pork sandwich. A tip from some seasoned hikers in the area: most are famished by the end of the journey, so call ahead to Firestone so your food is ready when you arrive and you can beat the line! Pack a small drawstring back or backpack with small snacks or granola bars for your many journeys. Bring tons of water with you to leave in a shaded spot in the car and don’t forget to always grab a bottle before you head up the mountains. Slather on the sunscreen before you leave the house and even bring some extra, just in case. Have a sturdy pair of sunglasses on hand. Have a comfortable stowaway spot for your camera phone during the hikes. You won’t want it in your hand on the way up, but you’ll definitely need it for some great pictures at the top. The earlier you start, the better! Days on the Central Coast can get very warm, so starting the hikes in the morning helps beat the heat. For alternate information on The Tri-Tip Challenge, visit https://sloandonabudget.wordpress.com/2015/01/26/the-san-luis-obispo-tri-tip-challenge/. Highland Dr. entrance: from downtown San Luis Obispo, head away from downtown towards Santa Rosa St. Turn left on Highland Dr. and take this road until the cul-de-sac. The hike begins at the left side of a wooden fence. Foothill Blvd. entrance: from downtown San Luis Obispo, head away from downtown towards Santa Rosa St. Take Santa Rosa until you reach Foothill Blvd. and take a left. The trail head will be to the left off the side of the road with a small dirt area for parking. Directions to Madonna Mountain: starting from downtown San Luis Obispo turn onto Marsh St. and take it to the end, near the on-ramp to the 101 Freeway. The trail head is well-marked near a large parking area. Directions to the Cal Poly “P”: enter the Cal Poly campus from the main, Grand Ave. entrance. Head down Grand Ave. past the grey Sierra Madre dorms and towards the red bricked South Mountain Dorms. To get to the trail head, go behind these red brick dorms and follow the trail uphill. The “P” is visible from ground level.